Are you looking for that little bit extra? The WHISTLER² flouts conventions and the SQUARED EXPERIENCE raises the game. Just like you. Sport comes naturally to you. Your rides are extensive, your interests broad. You kick off from the kerb and go beyond the horizon. The WHISTLER² is both sporty and ideal for everyday riding. Get more out of your ride. Keep it simple, no overcomplications. That is your maxim. And that is why we have kept the WHISTLER² as simple as possible. Switch on and go! Your everyday is chock-a-block – so every minute for your hobby counts. The SQUARED EXPERIENCE makes getting from A to B a breeze and faster. 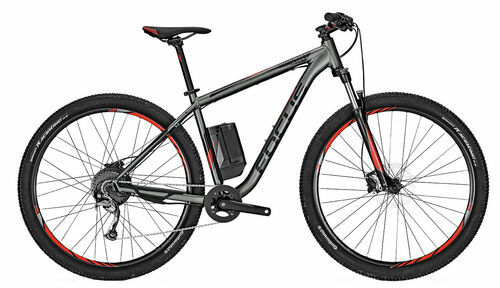 250 Wh takes the stress out of biking. You need a reliable partner to handle hairy situations. That’s why we’ve equipped our WHISTLER² model with disc brakes – for a consistent braking performance and optimum braking behaviour.